SERVPRO of Taunton/Mansfield is owned by Bill and Beth Russell who can help you and your business recover from water and fire damage, mold problems, and storm flooding. 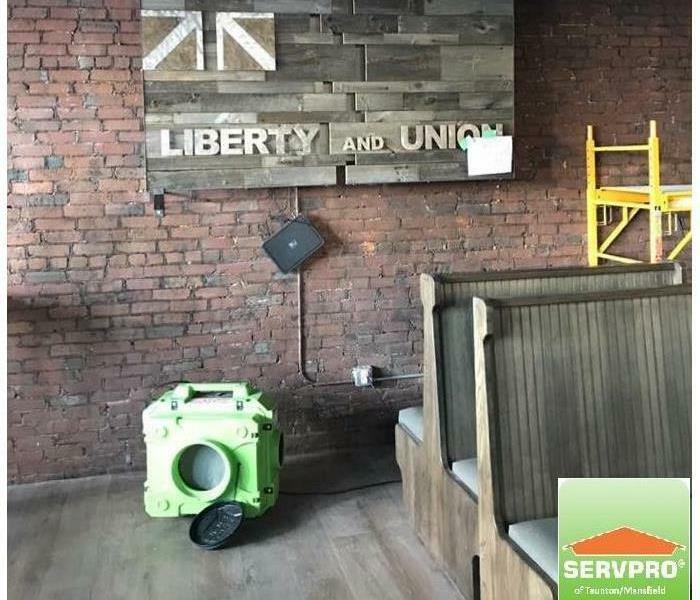 When water, fire or mold damage affects your home or business in the Greater Taunton Area trust SERVPRO of Taunton/Mansfield to minimize the interruption in your life and help reconstruct after the disaster. With over 30 years of experience in the construction industry, our team is trained, certified, and dedicated to being the BEST restoration company in the area. Our expertise goes beyond drying out the structure. With our team, we can help you reduce time lost for your employees and with your customers by helping you move forward with our streamline services that include a complete reconstruction division dedicated to getting your life back to normal quickly. We are proud members of both the Tri-Town Chamber of Commerce and Taunton Chamber of Commerce and support the local community. We are your neighbors who care about you and your business whether your property is located in Foxborough, Mansfield, Norton, Berkley, Dighton, Taunton, Raynham, Rehoboth, Swansea or Seekonk. SERVPRO of Taunton/Mansfield is a brand built on a great reputation for mastering difficult work, offering fair pricing and providing outstanding customer service. And with 24 hours a day seven days a week emergency services trust that our team at SERVPRO of Taunton/Mansfield has the training and equipment that enables us to provide the best responsive services in the area. SERVPRO of Taunton/Mansfield is locally owned and operated, so we are part of this community too. When you have a cleaning or restoration need, we’re already nearby and ready to help. We take pride in being a part of the Mansfield, MA community and want to do our part in making it the best it can be.